The Arena summer event is a firm favourite in the foodservice calendar and as the leading foodservice marketing agency we always attend. This year the headline speaker was a real pull – Steve Richards, CEO of the Casual Dining Group (CDG), which includes brands such as Las Iguanas, Belgo, Bella Italia, Café Rouge and La Tasca, sharing his vision for the group. 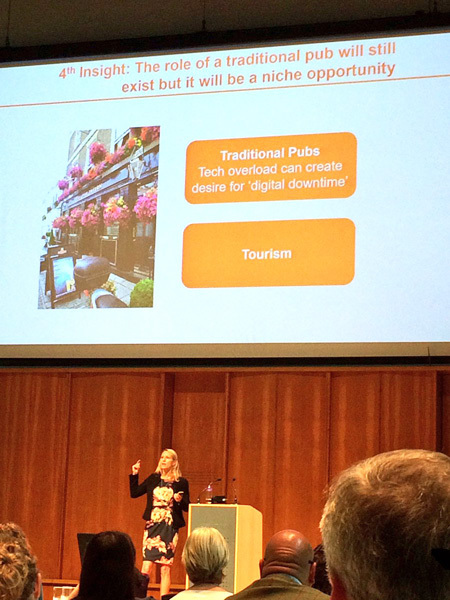 In addition to the after lunch speaker slot there was also an informative presentation from YouGov on the out of home market, specifically highlighting three key trends: the rise of premium home delivery with the likes of Deliveroo, the growing influence of technology and the ever increasing demand for ‘free-from’ food. 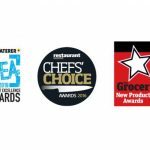 As a leading foodservice agency we make it our business to stay informed of the challenges that our clients face in the market and endeavour to provide them with solutions. 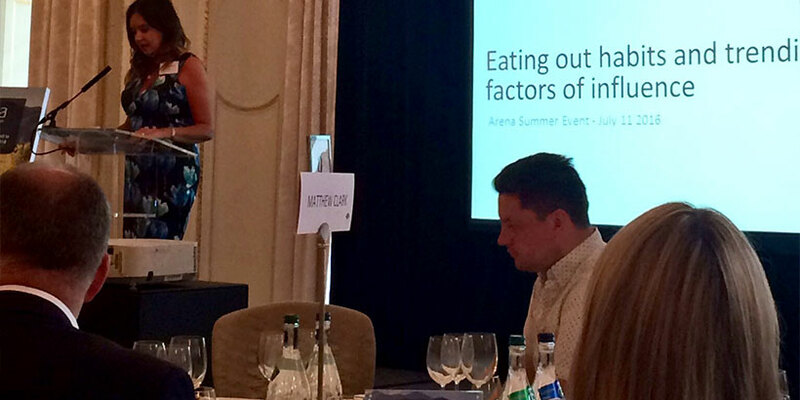 We were therefore delighted to attend the MCA Marketing in Foodservice Conference 2016 which brought together senior marketing professionals from across the foodservice sector to discuss the current challenges faced and how they are dealing with them. With around 1.7bn cups of coffee sold each year in the UK, across more than 18,000 outlets, the coffee shop market is a substantial one which shows no sign of slowing. 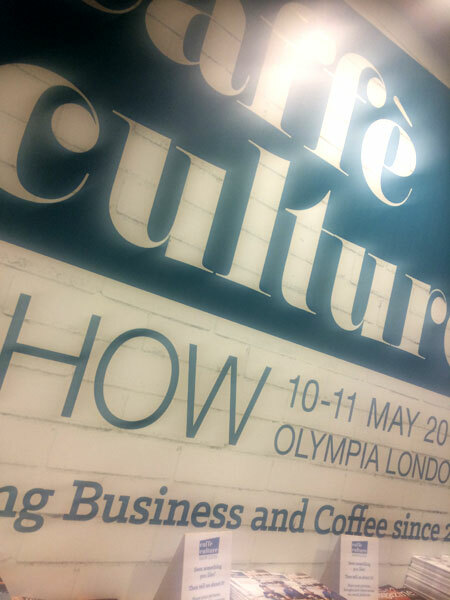 Indeed, predictions see it reaching 21,000 outlets by 2020, so it’s little wonder that this foodservice industry sector has its very own show – Caffè Culture – held over two days at Kensington Olympia 10-11th May. The show is targeted at groups like Costa and Nero, as well as the growing number of independent coffee shops, and indeed all those involved in the coffee market, which extends of course to the world of contract catering with operators like Compass, Sodexo, Bartlett Mitchell, etc. With 1 in 5 people in the UK visiting coffee shops in the UK, its big business for this boutique show. As your leading foodservice marketing agency, you’d expect us to be in attendance and report back, right? Too right. Here goes. Recent research carried out by the Caffè Culture Show with over 1,600 consumers and 100 café owners found that over two thirds of café businesses saw an increase in turnover of over 10% YOY, with 51% seeing an increase in coffee sales, 42% seeing an increase in lunch sales and 26% seeing an increase in breakfast sales. A staggering 33% saw an increase in turnover of over £150,000. However, it seems the biggest challenge they face is driving healthy profits with 52% of established businesses naming this as a key issue and 41% of start-ups. Staffing is also a hot topic with 37% of established businesses identifying this as a key challenge, along with 41% of start-ups. Interestingly with so much focus on the on-the-go market Caffé Culture’s research showed that 60% of consumers choose to drink-in with only 40% opting to take-out. As to what is driving customers through the door, well, great coffee is unsurprisingly the main driver with 81%, followed by a convenient location 45% and friendly and professional staff 30%, so get all these three right and you’ll be on to a winner. In general, 51% of consumers would like to see more independent coffee shops with 63% preferring to use an independent. They also want to see better quality coffee (42%) and more differentiation between coffee shops (35%). In light of this insight the show’s aim is to blend business and coffee in order to help big and small operators alike find new ideas and suppliers to build a profitable business. By its very nature there is a fair amount of coffee about (as you would expect), however, with coffee shops looking to differentiate their offer and cater to the growing demand for all day dining there was far more than just coffee on offer. Incremental sales of snacks, breakfast and lunch are a big revenue driver for coffee shops, as is offering a wide and varied beverage menu with added theatre, so it was little surprise to see the likes of Twinings there wowing the gathered visitors with their masterclass on the theatre of tea (it’s not all about coffee!). Whilst new and niche soft drinks looked to catch the eye of passing buyers with Birch Water, Aloe Water, the exhibitor award winning Peanut ‘Hottie’ (a delicious peanut version of hot chocolate – is the best way I can describe it), flavoured syrups, funky furniture, innovative packaging, crazy flavours of crisps and popcorn, shiny equipment, tempting cakes and melt-in-the-mouth biscuits, were all there to be viewed and sampled. And as the leading foodservice agency, frankly it would have been rude not to try it all (all in the name of market research you understand). With a background accompaniment from the obligatory hipster duo on guitar and box drum, the show was small but perfectly formed to appeal to the coffee shop market. The packed line-up at the business theatre and masterclass stage, not to mention the cupping zone, independent coffee roasters village and artisan food market meant there was something for everyone. 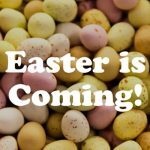 So if you didn’t make it along this year and the coffee shop market is ‘your bag’ make sure you have the dates in your diary for 2017. Jellybean Creative is a leading foodservice marketing agency. We help top brands with foodservice pr, foodservice marketing, digital and design. If you feel we could help you with your marcomms, strategy, public relations, creative or digital then drop us a line today. 1) The market on the whole is looking positive, as despite falling consumer confidence (likely to be due to uncertainty around Brexit) disposable income is at an all-time high and up £12 YOY with the average person having £198 per week to spend – hopefully on eating and drinking out of home! 2) GDP is growing at 0.6% and has now been in growth for twelve consecutive quarters. Indeed MCA predict the eating and drinking out market as a whole will grow by 3% this year, out-performing the economy as a whole. You can see why when you look at participation levels which are running at a healthy 92.6% with increasing frequency to boot, with breakfast and snacking/grab & go showing the strongest growth over the next 2-3 years when it comes to day parts. 3) However, as operators look to offset the increased overhead of the National Living Wage (which in general they believe will have a positive effect on the industry) menu prices are on the rise as we see a ‘menu pricing step’ change, with 5% rises not uncommon. Mains and sides currently see the most price rises, whilst overall operators look to rationalise menus (with the exception of premium pubs which are extending menus) with a drive to do less but better, by focusing on quality, which is the no.1 consumer driver. 4) When it comes to protein, chicken is still no. 1 with a 20% share of lunch and dinner, but the peak of chickenisation may be waning as Beef and Pork are the fastest growing proteins with vegetarian dishes and seafood in decline. Interestingly the mega trend of healthy eating doesn’t seem to be born out when it comes to actual consumer behaviour from the research, as indulgence seems to be winning out. However, healthy eating is sighted by industry chefs as likely to increase in popularity over the next 2-3 years, especially gluten-free, vegetarian, fish and vegan. Consumers are also moving to more on the go and informal eating out styles and tending to eat fewer courses, with a rise of one course meals and move away from traditional format sit-down dining. 5) Menu items in growth include in-bread carriers (think sandwiches and all their various permutations), premium burgers, all day breakfasts, sausages, along with ham, bacon and cheese fillings in bread carriers. However, vegetarian, mushroom dishes, seafood, curry and salad don’t seem to be proving as popular. Smoked and slow cooked are both coming through on menus alongside the ever popular, grilled, roasted and fried. Whilst natural cooking methods like wood-fired, BBQ and steaming are growing, especially when they can offer theatre and quality cues to customers. Spices and sauces are being more widely referenced on menus along with a broad variety of cuisines, provenance and up-selling messages to drive spend. 6) Formats such as street food, all day dining, pop-ups and food on the go are topping the chart when it comes to growth with healthier eating, BBQ, premium burgers, street food and Vietnamese tipped by industry leaders to be the fastest growing cuisines over the next 3-5 years. And it will be more important than ever to offer a point of difference aligned to customer demand as menus shrink bringing with it the risk of homogenisation at the same time as increasing prices. Big bold flavours can help to set menus apart, along with authentic cuisines (Asian is especially strong) and of course value for money. 7) Consumers want quality – no change there. With millennials looking for cheaper menus, promotions, fast service and healthier options (despite the fact that only 6% of all consumers polled were driven by health when choosing where to eat out), whilst the 50+ market are more focused on convenience and environment, as well as if they have visited before. Sectors that seem to be upping their game when it comes to delivering against consumer drivers include workplace and colleges, as contract caterers and in-house operators up their game to compete with food on the go and casual dining high street concepts. 8) As for mega trends – they remain the same: healthier eating, indulgence, informality, premiumisation, provenance and value scrutiny. Established cuisine trends include: BBQ, North American, Mexican, Brazilian/South American, Vietnamese, Thai and SE Asian. Coming-up behind them are Caribbean (Turtle Bay is a personal favourite), Modern Spanish, North African, British, Nordic, Modern Greek, Lebanese Persian, Contemporary Indian, Sri Lankan, Taiwanese, Korean and Japanese. Throw in Germanic, Malaysian and Peruvian and you’ve got a fair old choice out there. 9) As for ingredients and the ever present question of ‘what’s the next pulled pork?’ look out for…alternative grains, alternative cuts, ‘burnt’ foods, Cacao, Dosa, fermented foods (pickling), Pokē and root to stem vegetables coming through on menus. Whilst avocado, Banh Mi, cauliflower, Chia seeds, grilled cheese (yum! ), Matcha and sweet potato are listed as hot trends while breakfast pots, Chipotle, Harrisa, Kimchi, Quinoa, sourdough and Siracha come under emerging trends. Then, moving to more established trends you have edamame, fresh pasta, kale & super foods, mac ‘n cheese, ramen and sushi. But what do the industry experts think will be big? Allergies and healthy is high on their predictions with gluten-free, vegan and raw diets becoming more important to cater for. They see street food as continuing to be strong and cooking methods like wood-fired becoming more popular. Key to success will be concepts which are easy to understand, on-trend, offer value for money and are approachable. 10) Finally, it’s time for the drinks menu, with mocktails, beer cocktails, birch water, Mead, reverse osmosis water and Soju identified as warm trends while hot trends include craft spirits, Japanese Whisky, loose leaf tea and prosecco or wine on tap. Emerging trends include Almond milk, green juice, premium tonics and unusual smoothies. Whilst at the more established end of the trends scale you have artisan coffee, coconut water and craft beer. As for those on the slide, bubble tea, full sugar carbonates, flavoured water and fruit juices may have peaked. As for the MCA team, they personally have been doing more of the following over the past year: using chopsticks to get the best out of Asian food, using mobile payment apps, ‘gastro-tourism’ i.e. 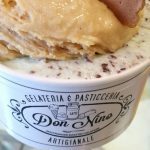 travelling for food and seeking out the latest restaurant openings, eating more Chia pudding as part of a clean eating regime, enjoying crushed avocado and craft beer – but not all at once! Whilst Simon has been on a gourmet tour of NYC taking in an innovative vegan concept ‘by Chloe’, Michelin beer pairing at ‘Luksus at Torst’, design led restaurant concepts including ‘Quality Eats’, Jewish Russian Bagel café turn evening Bistro ‘Sadelle’s’ and even sour craft beer! As ever the briefing was highly enjoyable and informative, and really the above barely scratches the surface of the full report which is available to MCA Forum members. Well done to the team at MCA on a great event and a comprehensive round up of the market. 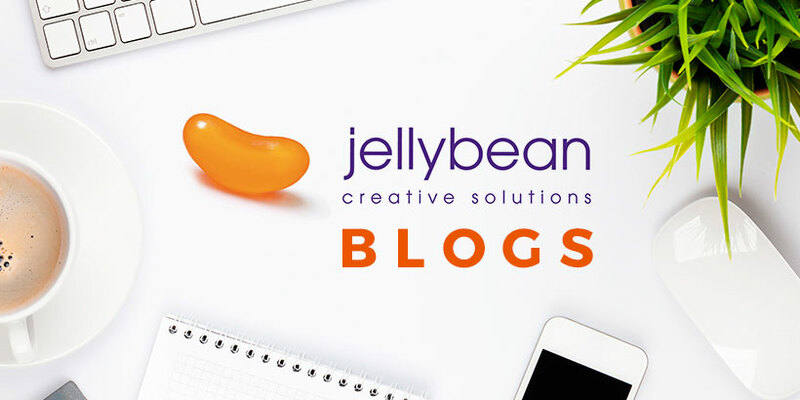 Jellybean Creative is a leading foodservice trends and communications agency. We help top brands with foodservice pr, foodservice marketing, digital and design. If you feel we could help you with your marcomms, strategy, public relations, creative or digital then drop us a line today. As the leading foodservice agency we will always be found at the regular Arena events, keeping abreast of the latest news and gossip and networking with friends and colleagues. This Monday was no exception, as we headed to the Savoy to hear from Ken McMeikan, CEO of Brakes. The Arena speakers are of course always very informative, but to hear from the man at the helm of Brakes in the wake of the Sysco acquisition was certainly something of a draw! The evening began with bubbles and a selection of delicious canapés and then it was through to the River Room for the main event. 1) Brakes – Their market share is 21% in the UK, 6% in France and 14% in Sweden, serving 200,000 customer sites across Europe. They combined their IT systems and are now completely multi-temp having invested £125m in infrastructure. 2015 was a big year with the purchase of Fresh Direct (the national fresh food wholesaler) and Davigel from Nestle which extended their market share in Spain, Belgium and Luxemburg, and doubled their French market share. Then this year, having been on the brink of floating, they were at the very last minute purchased by US food giant Sysco in a $3.1bn deal which will complete in July and which is likely to signal further growth for Brakes as a pan European player offering further scale and efficiencies to the business. 2) Eating Out – Over the past 30 years the market has seen excellent growth at around a 3.5% compound annual growth rate with continued growth forecast. The growth in eating out is being driven by population growth which is predicted to increase by over 4.5m over the next decade, whilst a record 12.5m women are in work, creating 60% of duel income households with less time to cook. Also the influx of tourism which peaked in January 2016 with a record 2.5m visitors to the UK – over 6% more than in 2015. Indeed in 2015 it was estimated that there are 1million more adults eating out and that more people are eating out more often than ever before, but interestingly spending less as eating out becomes a lower ticket meal occasion, with generation Y key to this growth in eating out. And when eating out, 38% of adults say that food quality is the most important factor when choosing an outlet. Sadly, there is still an incredible failure rate for food businesses as 2014 saw 22,000 new business open but a staggering 20,000 close representing a high churn rate. It is of course still a positive growth, but more is needed to help businesses thrive in this sector as foodservice offers real promise for growth over and above retail. 3) Growth Trends – Well unsurprisingly Ken identified fresh produce as a growth trend (having bought Fresh Direct) which links in with the consumer demand for high quality. Also, fast casual and food on the go, along with locally sourced products and the demand for provenance which they are focusing on via their 25 regional distribution hubs. In Scotland alone they currently buy £75m worth of Scottish sourced products and intend to grow this to £120m by 2020. 4) Closing the Gap – Ken believed that when he started with Brakes that foodservice was 10-15 years behind retail but believes the gap is closing and will continue to lessen as foodservice companies make the most of advances in technology including ecommerce, data analytics around tracking orders and the rise of internet penetration which is forecast to hit 7.6billion in 2020. 5) Three Risks – He also identified three key risks to the industry: cost challenges, skills shortage and obesity. The first is of course top of mind with the National Living Wage taking the over-twenty-fives onto £7.20 per hour with a view to rise to £9 per hour by 2020. It is estimated that this may result in the loss of 60,000 jobs across the hospitality sector. These unintended consequences are something he believes could have been avoided with greater government consultation with businesses and may very well result in hikes in prices. The skills gap has long been talked about and with 51% of catering colleges seeing a downturn in enrolment and 11,000 chefs needed by 2020 (according to the recent People 1st report) and 870,000 staff needed to simply replace those leaving the industry there is likely to be a substantial experience gap on the horizon. It could be that the industries potential growth could be limited by lack of people and relevant skills, therefore we need to attract good people into the industry by making a career in foodservice more enticing, which it should be as few industries offer such an opportunity for creativity and entrepreneurialism. Finally health and nutrition is key both to our nation and our sector with 400,000 deaths in the EU attributed to excess weight. Six out of ten of us are overweight and over 30% of children are overweight or obese. The sugar tax has of course hit the headlines and personal accountability must play some part, but Ken argues the industry must do its part and help to reduce hidden sugar in food much like they have done with salt and trans fats. Companies must take a proactive role and help us overcome the obesity crisis. 7) What I love – When it comes to foodservice there’s a lot to love, but Ken picked out these key points: the most amazing people, a heritage of food innovation leading retail, changing consumers experience’ with food from around the world and helping to build the high street brands of tomorrow. All in all a dynamic and exciting industry. 8) Four Predictions – The UK eating out of home market will grow to be more like the US, accounting for over 50% of all food consumed (in 2014 it accounted for 42%). Casual dining will continue to grow and help to make our high streets more attractive. Under 30s / Gen Y will be hugely important to market success and technology will be key to reaching them. Finally, (and perhaps this is a hint at the future of Brakes?) Ken sees more consolidation in the market ahead as bigger players buy up smaller ones to generate growth. Ken then went on to face some challenging questions from the floor where we saw his personality and quick thinking come to the fore. His opinions? Well on Brexit, unsurprisingly for the CEO of a pan-European company he’d prefer to avoid uncertainty and stay in (as the thought of renegotiating all those trading agreements isn’t an attractive one) – but with no crystal ball it’s too close to call. On leadership, the way ahead is to listen to colleagues and customers and develop a plan for leaders and future leaders around the outputs (as they have). On procurement vs. quality, purchasing well is key as customers want the best price without compromising on service, quality and innovation (easy said!). On the future of foodservice, he sees technology playing a greater role in the kitchen with gains in efficiency from using pre-prepared food and even robots for basic tasks. And finally on the Sysco purchase, he feels Brakes would have suited floating well and have offered an opportunity for investors to buy into a growth sector but the Sysco synergies and cultural match is a good one and he sees a bright future with increased scale and opportunity ahead. Having digested Ken’s food for thought it was time to enjoy a fabulous meal prepared by the team at the Savoy and finished off with an impressive cheese board from sponsors Futura Foods. 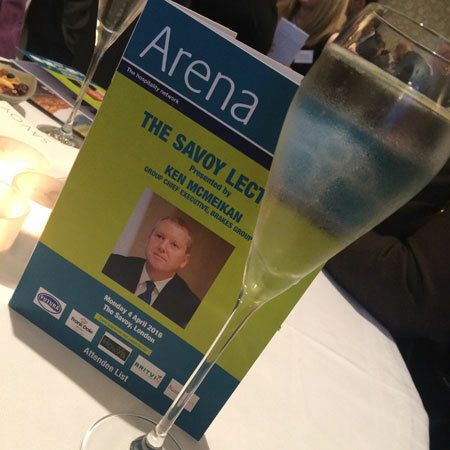 Well done to Lorraine and the team at Arena on another outstanding event and to Ken on an informative talk at a very interesting time!